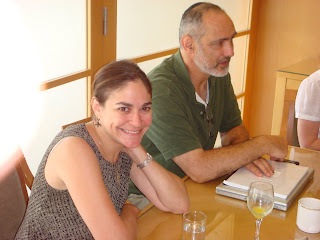 Caroline Glick Holds Blogger Call With "One Jerusalem"
One Jerusalem held a blogger conference call on Tuesday with noted Jerusalem Post columnist Caroline Glick. The audio is posted here. Just today a Gaza rocket struck a shopping mall in Ashkelon, Israel injuring 14 including a mother and her baby. Caroline raises important points about the future of Israel, the centrality of Jerusalem, Barak Obama’s anti-Israel advisers, Israel’s penchant for self-destruction, and what American supporters of Israel can do. 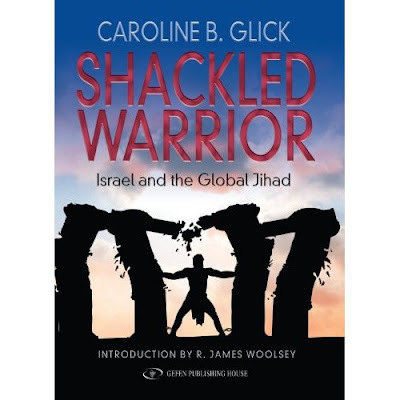 As a columnist for the Jerusalem Post and many other publications, Glick has earned the respect and readership of leaders and thinkers worldwide. In a wide-ranging interview, Caroline articulates a perceptive take on the Middle East and beyond. I had the privilege of meeting Jerusalem Post columnist Caroline Glick and Richard Landes, the creator of Pallywood the movie, during a trip with American bloggers to Tel Aviv last August. It was quite on honor. Some of the bloggers on the call: Omri from Mere Rhetoric, Ralph from the Hedgehog blog, Oceanguy, Rick Richman from Jewish Current Issues, Richard Baehr from American Thinker, David Bogner from Treppenwitz, Anne from Boker Tov, Jerry Gordon from Israpundit, Jim Hoft from Gateway Pundit, and Bennett from Daled Amos. More Glick… Caroline Glick gives Jeffrey Goldberg of the Atlantic an old fashioned Zionist smackdown today at her blog.